The Department of Antioquia (Spanish pronunciation: [anˈtjokja]) is one of the 32 departments of Colombia, located in the central northwestern part of Colombia with a narrow section that borders the Caribbean Sea. Most of its territory is mountainous with some valleys, much of which is part of the Andes mountain range. Prior to the Colombian Constitution of 1886, Antioquia State had its own sovereign government. Medellín is Antioquia’s capital city, and the second-largest city in the country. The Quimbaya, Carib and Muisca tribes were the most prominent groupings that were found by the conquistadors upon their arrival in Antioquia. 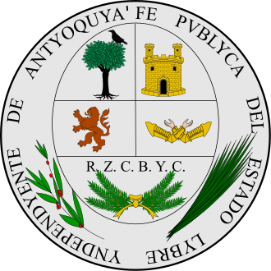 The Quimbayas had little to do with the evolution of the department, because Jorge Robledo, the main conquistador of Antioquia, quickly subjected the few Quimbaya that he found, and the rest disappeared. The history was centered then in the turbulent relationships of the Spaniards with the Caribs. Despite the number of Caribs and their well-known warring culture, they would end up dominated or exterminated by the Spaniards in the process of conquest and colonization. Colombian – Antioquia represents 400 unrelated donors living in Antioquia who were sampled in 2003 by two Universities in Columbia and one in Spain. Source publication: Nineteen autosomal microsatellite data from Antioquia (Columbia), FSI, 2004, 143, p69-71.